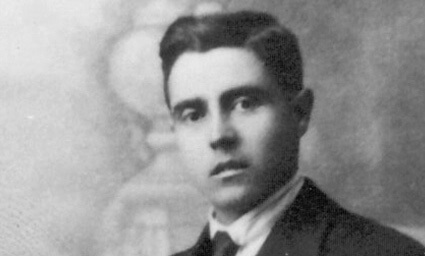 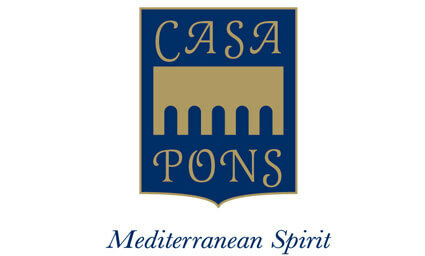 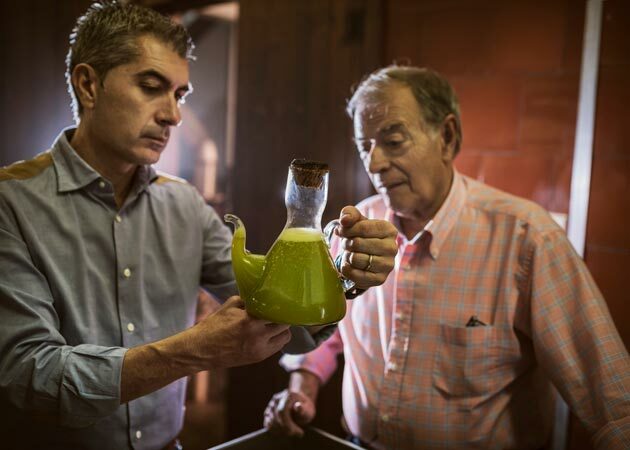 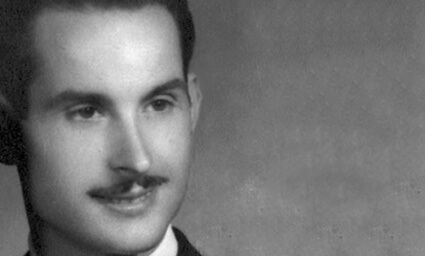 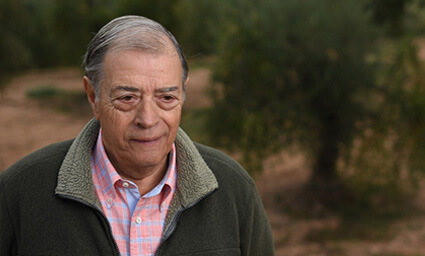 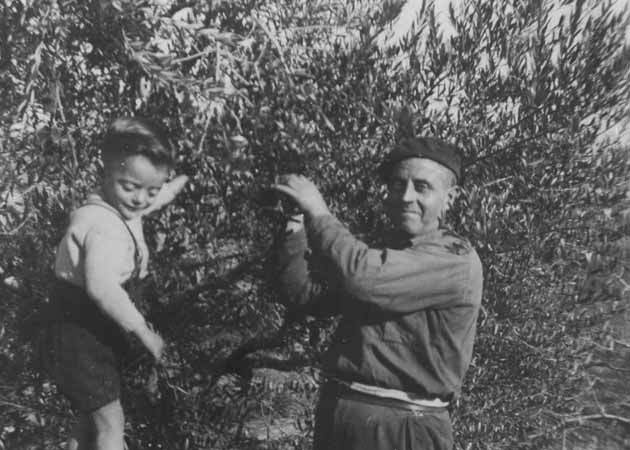 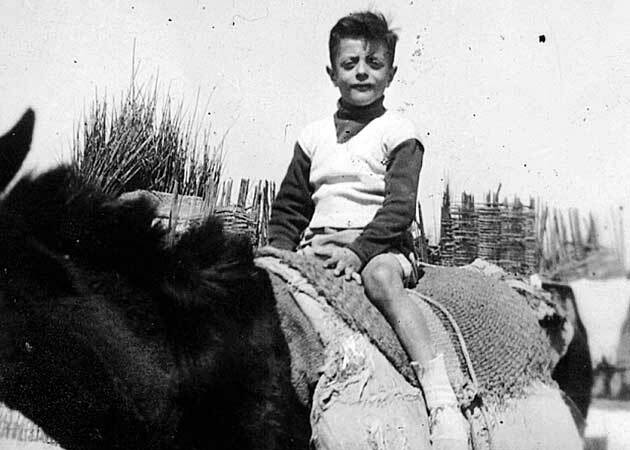 PONS products are the legacy of a family which, after four generations since 1945, expresses its Mediterranean Spirit through passion for the land and mastery in making its products. 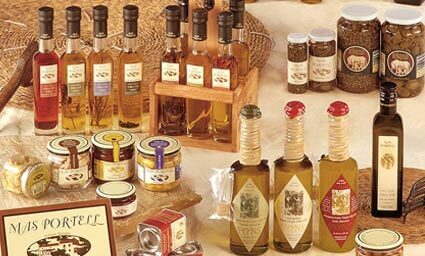 We offer great quality products that have the flavor of trust and tradition. 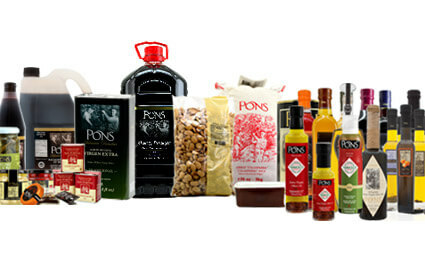 comes the best Olive oil in the world"
Grup PONS is a result of its exporting spirit as initially it exported oil in bulk, largely to Italy. 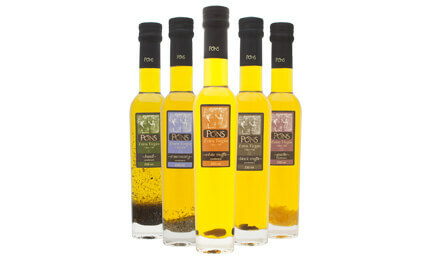 Due to the experience of its founders, in 1996 the group decided to add value to this fine product by packaging at source. 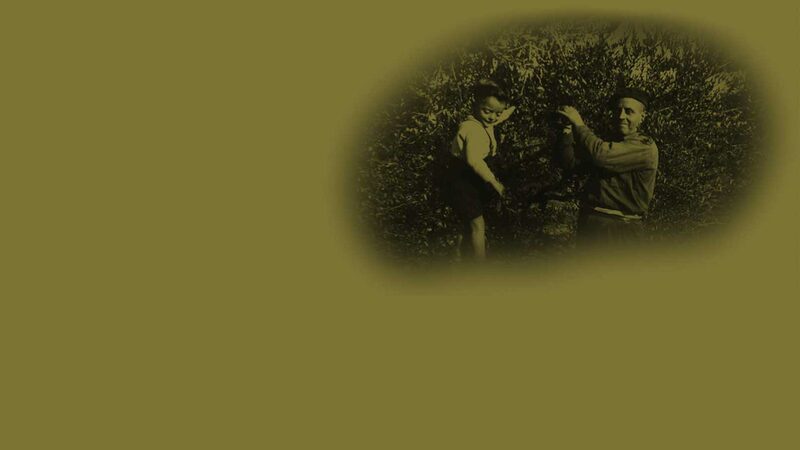 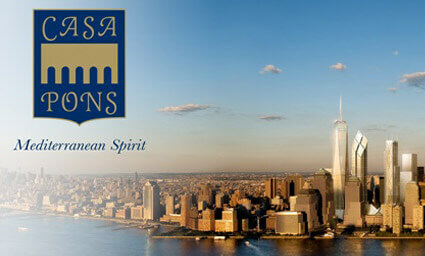 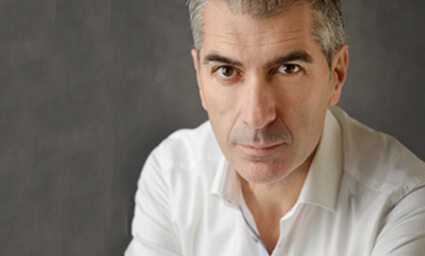 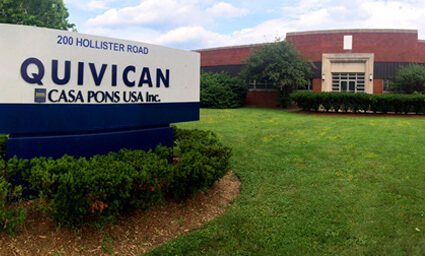 A company with vision for the future, the strength of internationality and the know-how of family tradition. 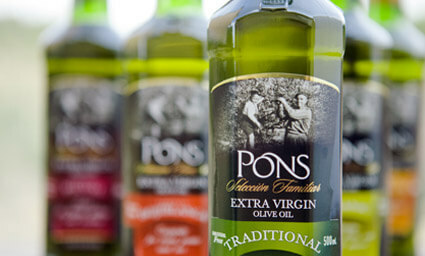 The passion and respect for the soil give the excellence to PONS products. 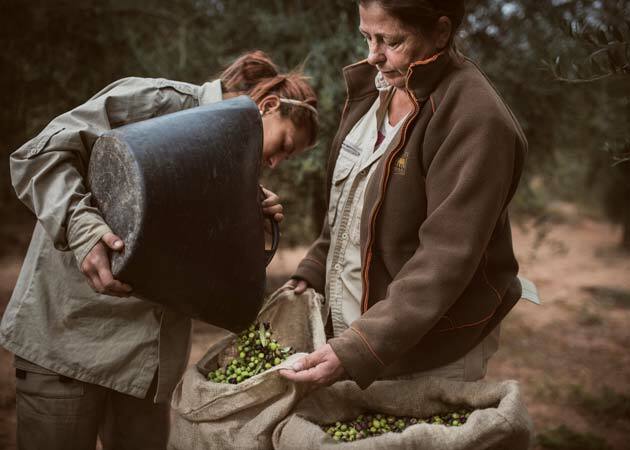 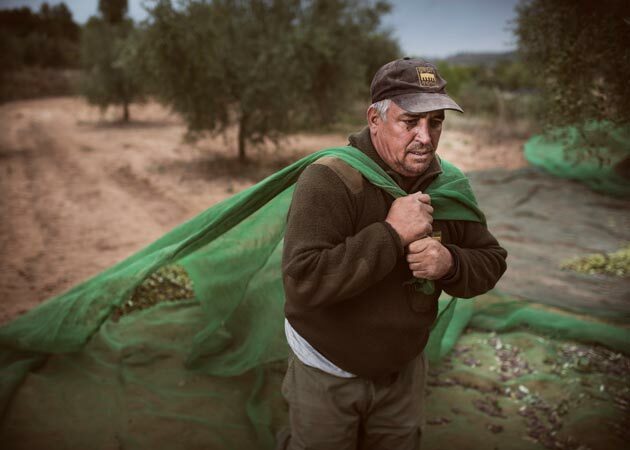 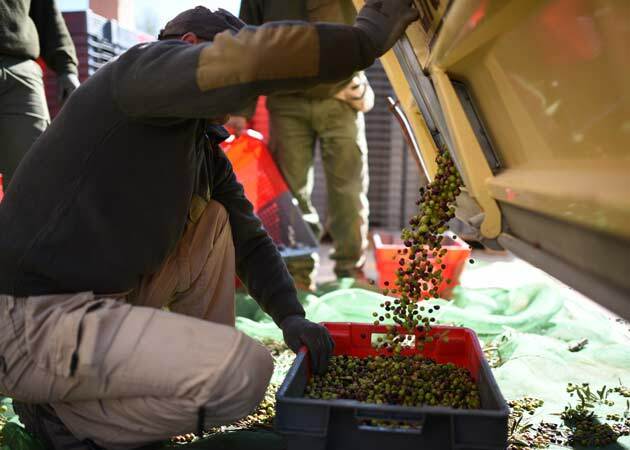 The Arbequina olives are harvested both manually and with a mechanical comb, following all of the parameters of Ecological farming and always respecting the environment. 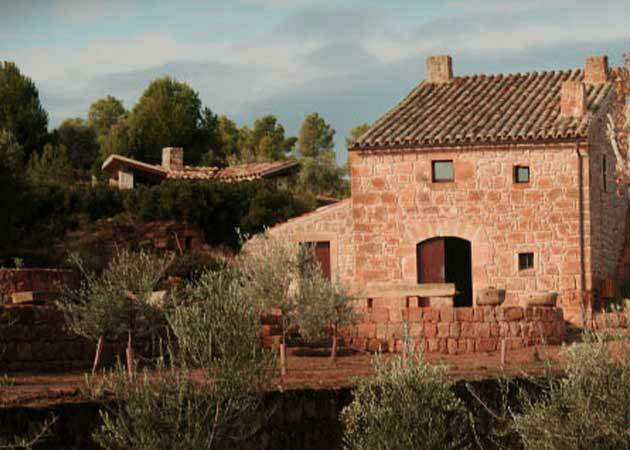 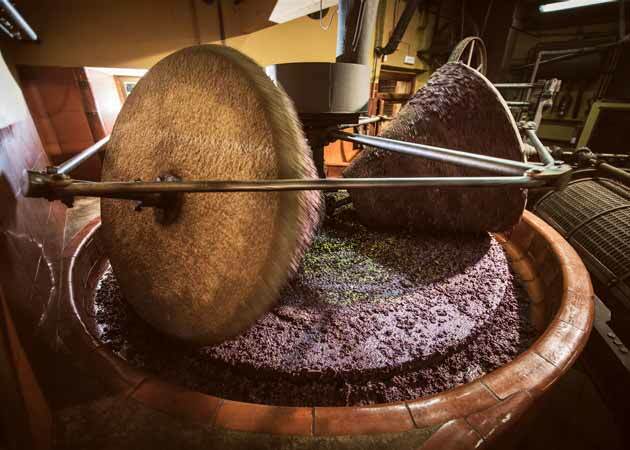 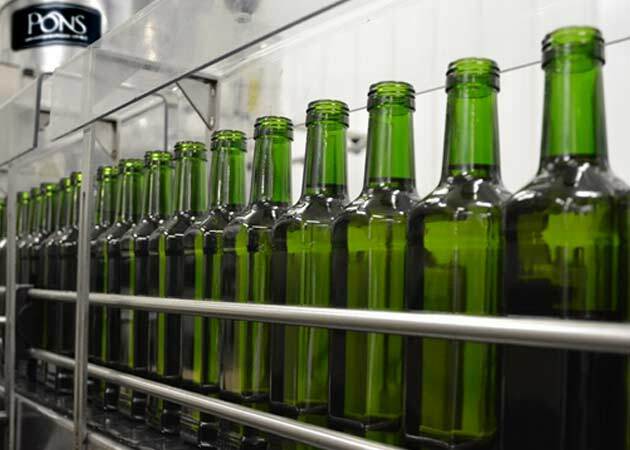 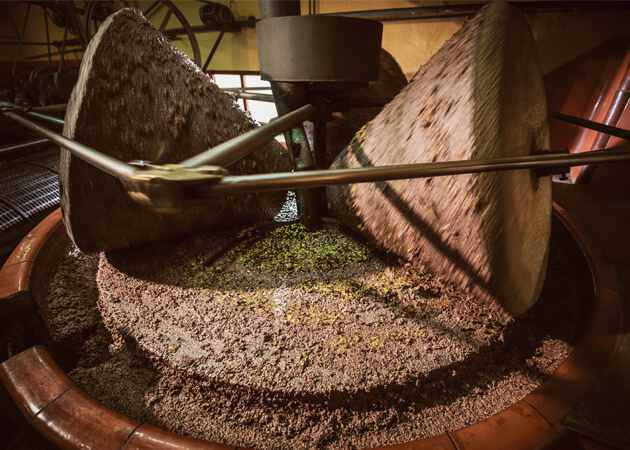 The production process of Grup PONS olive oils combines the traditional milling process of a stone mil with the latest technology in olive oil extraction using a continuous modern process. 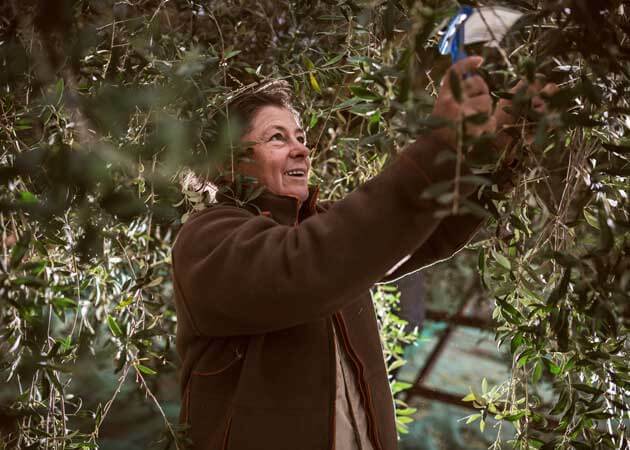 The methods utilized give us the guarantee that we are producing an olive oil with excellent organoleptic properties and a quality that satisfies the most demanding customers. 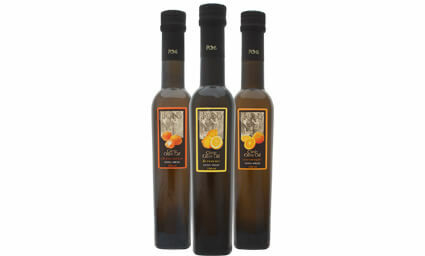 the same perfume and flavor that our ancestors enjoyed long time ago." 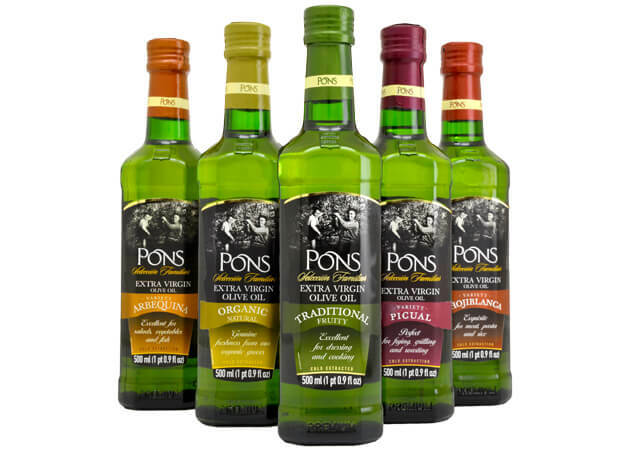 Grup PONS has an in house Quality Control Department with a laboratory equipped with the latest technology so that we can perform the organoleptic and chemical testing of all of our olive oils. 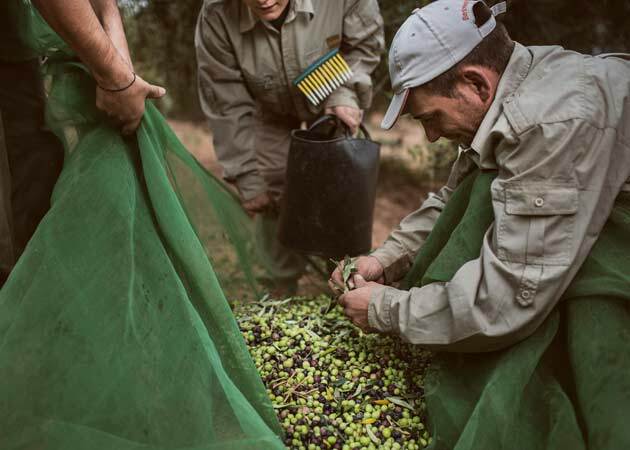 This process guarantees that our olive oil complies with all of the quality regulations in all of the countries where we export. 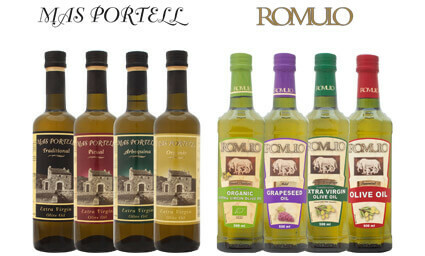 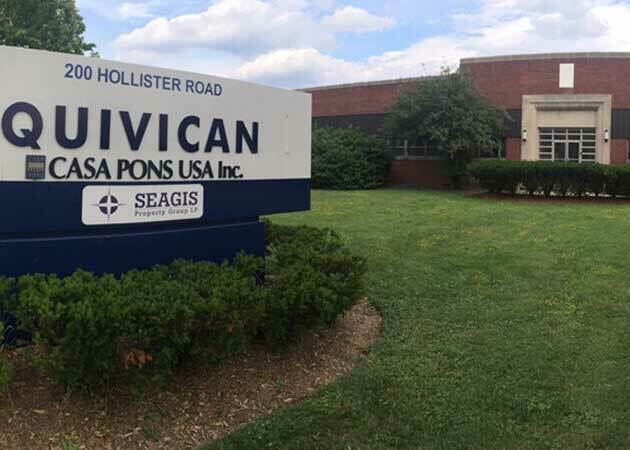 Our Research and Development department is leading the way in constant research of unique products and new flavors in the market. 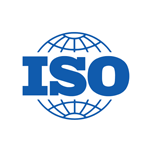 The commitment for improving our working procedures is recognized with the certification of ISO. 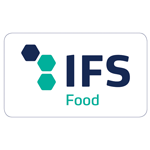 Grup PONS is also certified in food & beverage safety with the certifications of BRC, IFS, which are necessary today to be among the elite in international business. 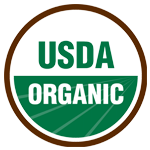 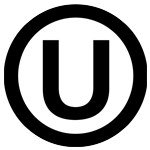 There is traceability in the entire process from the farm up until the final product built into our daily procedures, which is why we were one of the first to obtain the USDA certification and certification from the Orthodox Union, KOSHER.